192,951 pickup trucks were sold in the US last month, down just a hair from 216,452 in August. 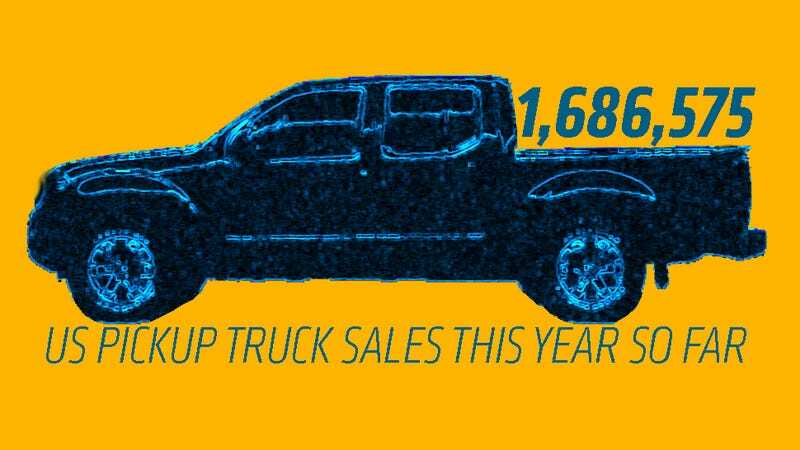 Sales of every model dipped except for the Nissan Frontier (up almost 100 units) and the Chevrolet Silverado (up just under 1,000). Chevy and GMC combined beat Ford for the second month in a row. Both Chevy and Nissan's increase is pretty negligible, but I'm sure they're happy to be on the up while the rest of the segment is down. I don't think it has much significance for the long-term though. Tacoma sales dropped by about 2,000 from August, which gave the Frontier a little chance to catch up. The added factor of Nissan getting 83 more sales in September helped, though their market share of mid-sized trucks only increased less than half a percent. Ford F-Series sales dropped somewhat substantially from August, by some 9,000 units, making September one of their crappiest months since we've been keeping track. That's got to be due to 2015 anticipation... if you're going to buy a new F-150, I feel like it'd be worth the extra coin and wait time to get the one that's "actually" new.